Independent Lake Camp has 12 major Activity Departments that run our long and ever-evolving list of activities. 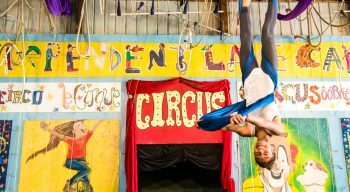 Circus, Aerial Adventures, Role Playing Games, Nature, Performing Arts (Theatre, Dance, Magic), Sound City (Music), Digital Arts, Fine Arts, Sports & Fitness, Extreme Sports & Go Karts, Waterfront & Aquatics, Horseback. Each department head organizes their talented staff to provide meaningful and impactful programming.